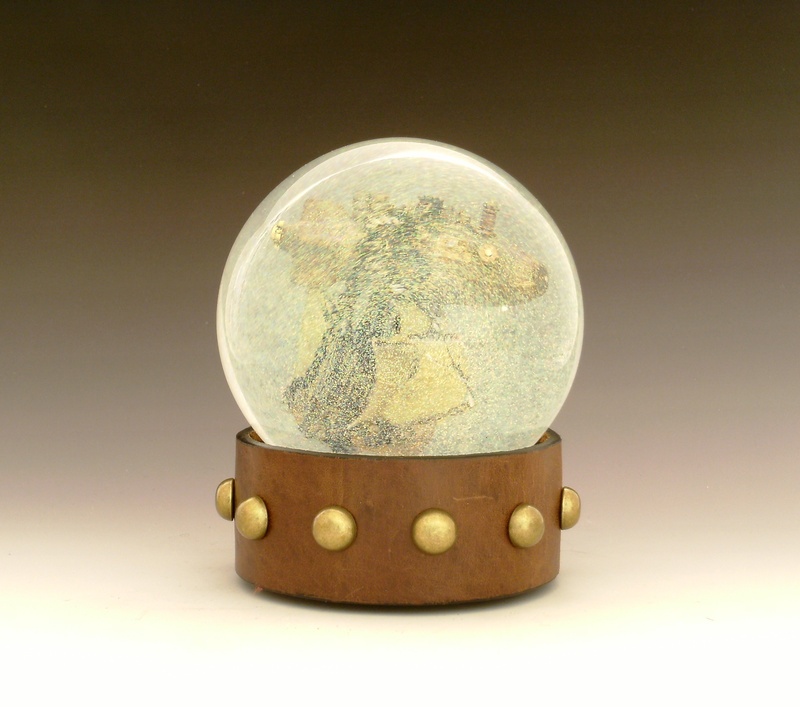 We’ve been making steampunk airships incased in snow sparkle globes for quite a few years, and like to think we’ve gotten better over time. Experience is an excellent teacher, although the tuition can be high. One question we get asked at shows is: can you make a smaller blimp? The large airships are usually in a glass globe with a diameter of about five inches. But we also have our tiny globes that measure just over two inches across. There was NO way to get an airship into a globe with an opening that small. Until we happened upon a vintage necklace at a thrift shop and thought: those beads sure look like a zeppelin. Did it take way too long to make this tiny ship with its tiny rigging of single golden threads? Of course it does, but you know, ship happens. And we think it’s just as cute as its big sister ships. All photos and designs are copyright (c) 2017 Camryn Forrest Designs, Denver, Colorado USA.